Portion Distortion: How Much Are You Really Eating? 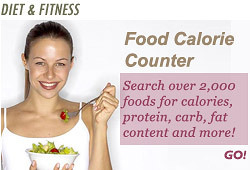 Plus: Painless ways to cut sneaky calories and lose weight. Up-sized meals at an additional dollar. All-you-can-eat buffets. With more restaurants and food companies super-sizing their meals and snacks, many of us take in way more than we need without even knowing it. It doesn't take a rocket scientist to see how today's super-sizing has expanded our waistline: Eating more translates to more calories, and the extras get stored as fat. That's why in order for you to keep your weight in check, you have to get portion-savvy. That means learning what an actual serving size from each of the food groups looks like and how much you can eat and still lose weight.